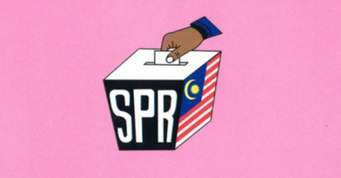 Malaysia’s Election Commission (EC) is just unblievable and irresponsible to the rakyat dan negara (people and country). 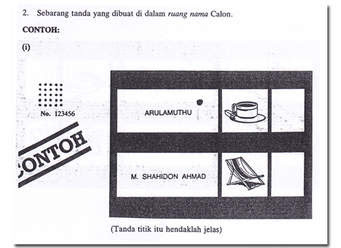 Does the EC think Malaysians are idiots, stupid morons? “What justification or common sense is the EC using to increase the number of voters in a parliamentary seat by almost double to 160,000,” Gerakan Speaker Syed Abdul Razak Alsagoff said. “Why is the EC behaving and making delineation decisions that do not make sense? The EC is a disgrace to Malaysians,” he added. Syed Razak is Gerakan’s nominee to contest N.37 Bukit Lanjan in the coming 14th General Election (GE14). N.37 is one of the three state seats that make up P.106 Petaling Jaya (to be renamed Damansara after the redelineation is finalised). Syed Razak protested against the “gerrymandering of the highest order” after submitting his objections at the inquiry into the EC’s proposed redelineation of electoral boundaries. SHAH ALAM: A Gerakan grassroots leader today flayed the Election Commission (EC) for “gerrymandering of the highest order” for proposing to increase the Chinese voters in the P106 federal seat, reduce the Malay voters and nearly doubling the electorate to a massive 160,000. The redelineation proposal also calls for renaming P106, now known as Petaling Jaya Utara, to Damansara and merging into it parts of the constituencies of Selayang, Bukit Lanjan, Sungai Buloh and Kepong. 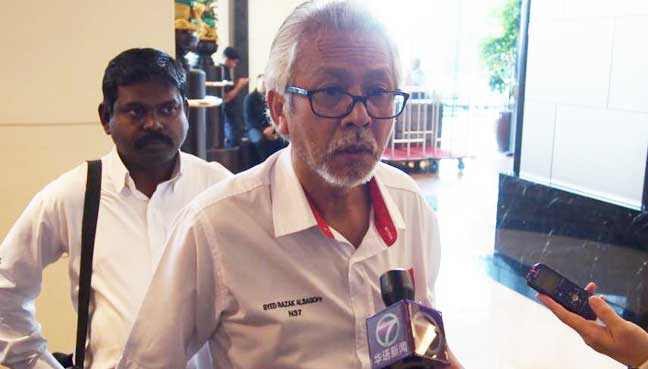 Bukit Lanjan Gerakan coordinator Syed Abdul Razak Alsagoff protested against the “gerrymandering of the highest order” after submitting his objections at the inquiry into the EC’s proposed redelineation of electoral boundaries. “I vehemently protest against this proposal because they removed seven district voting centres (PDM) from Bandar Utama and Kampung Sungai Ara out 17 I had initially, and they give me six PDM from Templer and five from Paya Jaras. “This increased the Chinese voters from 57% to 62%, or 47,000 to 61,000 voters. “EC should actually be following a ratio of 1-to-1 but the ratio now for the Damansara parliamentary seat will be 2.05,” he said when met here today. The proposal will turn P106 into a massive seat: from 85,000 voters, the number will balloon to almost 160,000, thus making it one of the largest seats in the country. Syed Razak called the proposal racial. “I also look at this move by EC as racial because they have given me more Chinese voters and reduced my Malay voters. “The Malays at my place have been reduced from 28% to 26% and the Chinese have increased from 57% to 62% while the Indians stay the same at 12%. “This gerrymandering is in violation of Article 13 of the Federal Constitution where we talk about the law of proportionality. Kampung Sungai Kayu Ara was singled out as an example of an area that will suffer from this proposal. Syed Razak said Kampung Sungai Kayu Ara is a traditional village that will be lumped in the new constituency. “I am Muslim and many in the EC are Muslim too. So if this is pushed through and since I’ve used my own money and I lose, I will claim it back from all those who believe, on Judgement Day. “This is because this move is totally unfair and they are carving out areas which are already correct. This is not right just to help some parties that are not sure of winning anyway. “You lump the Malays together but it is not sure they are going to Umno. You are fighting between PPBM, PAS, Amanah and PKR."